KARACHI: Residents of Karachi’s Saudabad, Malir area registered a strong protest against unannounced prolonged power outages in the area. 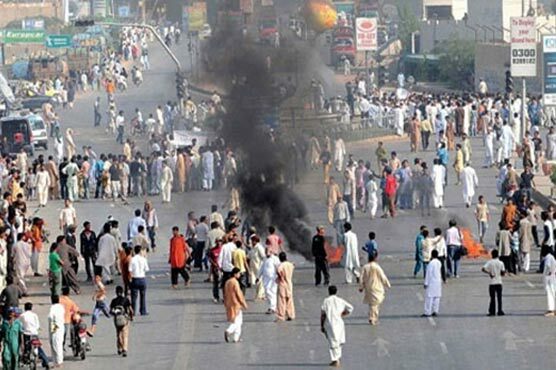 Disgruntled people blocked the road for traffic, burnt tyres and raised slogans against the authorities. The protesters said that they are deprived of electricity for the last two days which has created immense trouble for them. They declared that digital meters will not be allowed to install in the area as they function faster and overcharge bill to the people. A large number of people including men and women took part in the protest.